The following information describes the No-Spam Policy for our morethanroofing.com website. What In The World Is Spam? 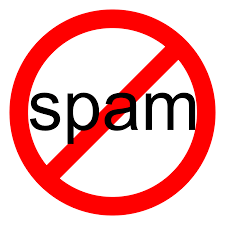 Spam is unwanted email, also called junk e-mail received by way of e-Mail, or UCE (Unsolicited Commercial Email). Essentially all of us have accessed the inbox of an e-Mail account and viewed e-Mails that were delivered to you a sender that was not known by you. When we send e-Mail only to those parties who specifically have asked to receive it, we at morethanroofing. com are utilizing broadly accepted permission-based email delivery guidelines. What Are The Laws Against Spam? They exist. However, just like any body of any individual State spam statute can and will vary. The spam laws of each State will not only vary, but also will provide different definitions of unsolicited commercial email. Also, there might be a variety of federal agencies that keep track of spam, including the Federal Trade Commission (FTC). At the Federal level, the CAN-SPAM Act of 2003 promulgates some attempt at a coherent and collective approach to managing unsolicited commercial email. Fundamentally, it will be very hard to actively enforce spam statute violators with any constant or wide spread basis, consequently, so personal awareness is your own best first defense against spam. Above that, our organization will you by promising that you are one-hundred percent in charge if you ever are contacted by morethanroofing. com by e-Mail either initially or perhaps in the future, as provided for in our “No Tolerance” that is outlined below. OUR ORGANIZATION HAS NO TOLERANCE SPAM POLICIES. Our company does not e-Mail unless a person has completed an “opt in” form or “web-form” which expresses an interest in our info or products and/or services, or in some other manner directly and positively places a request for it. News of the features and benefits of Membership is broadcast through advertising, joint venture marketing, and word of mouth, so we’re only building relationships with folks who wish to learn more about the goods and services we offer and willingly subscribe to our content and consequently contact our business through email. You are always completely accountable for whether or not you receive email notices from morethanroofing. com, and will have the to terminate at any time. NOTE – Every auto-generated email contains a mandatory unsubscribe link that cannot be removed. For that reason, each email communication generated by way of morethanroofing.com carries with it the option to “unsubscribe” and never receive another email messages from morethanroofing.com. CHANGE NOTICE: As with some of our business and legal notice pages, the info published on this page can and will be modified over time. With that in mind, this site might read differently by your next visit. These updates are caused by, and executed by morethanroofing.com, in because we want to protect you and our morethanroofing.com site. In the event that this is very important to you, we suggest that you should check back on a regular basis because no other notification of change of content shall offered either before or after any change or changes takes effect. COPYRIGHT NOTIFICATION: These legal notices and administrative pages that are on website, which include this one, have been diligently composed by a lawyer. We at morethanroofing.com have paid to license the usage of these legal notifications as well as any administrative pages on morethanroofing.com for both your protection and our own. This information must not be utilized in any manner for any reason and unauthorized usage is monitored by way of Copyscape in order locate violators.